YYsY SG 43/50. 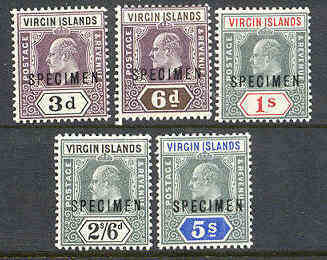 Edward VII 1899 - complete set. 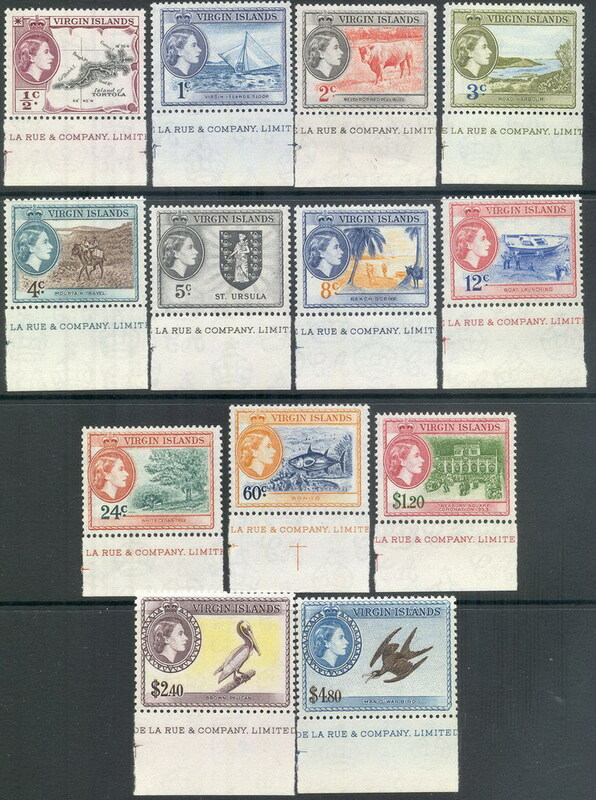 1/2 c and 5 s are LH, others unmounted mint. (* = £ 110). m SG 45 og 48. 2 1/2 og 7 pence St.Ursula 1899 - to lettstemplete merker på brevstykker. (£ 12). Y SG 58/62. 3 pence til 5 shillings Edward VII 1904 med overtrykk "Specimen" - 5 pene letthengslete merker. YY SG 149/161. 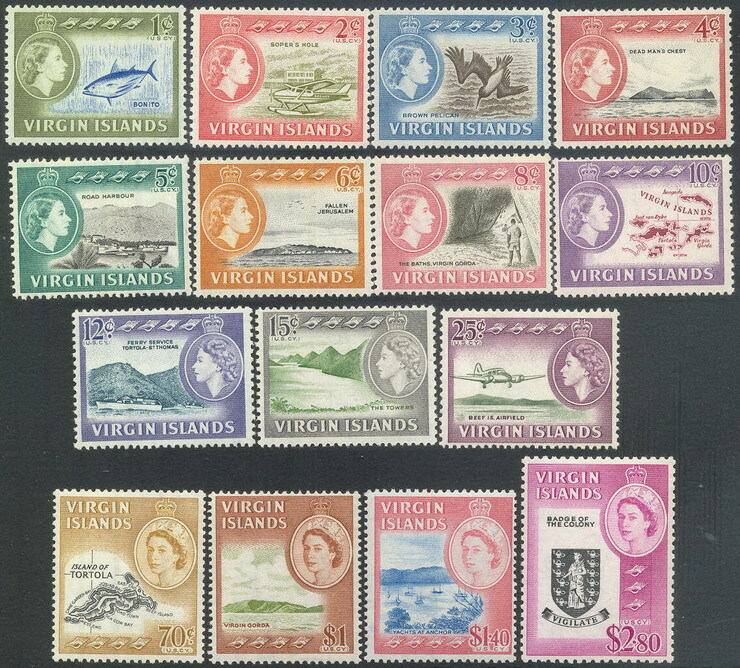 Definitives 1956 - complete set. (£ 95). YY SG 149 a/150 a. 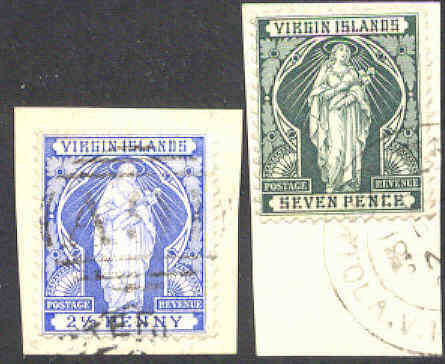 1/2 and 1 c Definitives 1960/1962. (£ 22). YY SG 162/173. 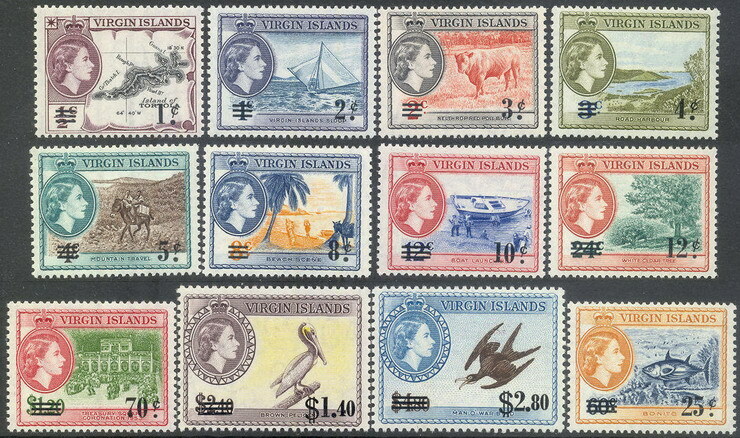 Surcharges 1962 - complete set. (£ 25). YY SG 171. 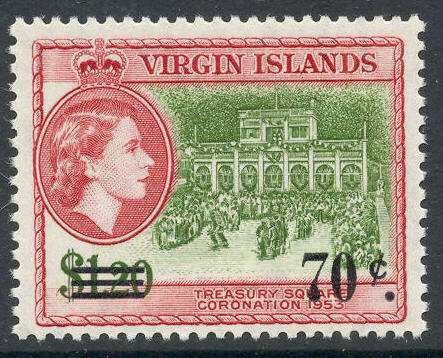 70 c Surcharge 1962 - stop to right of C.
YY SG 178/192. 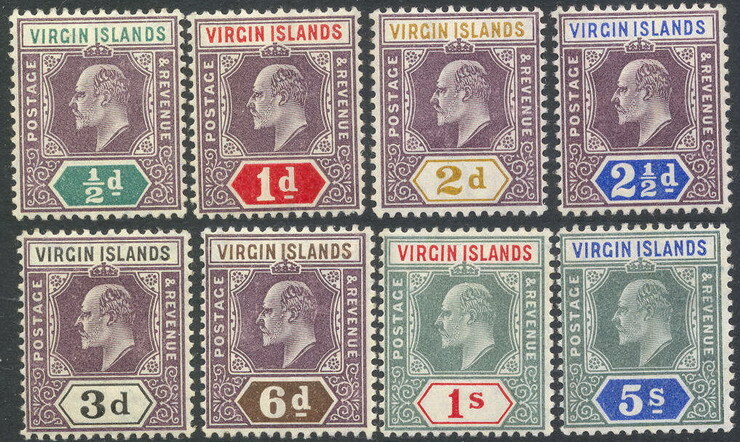 Definitives 1964 - complete set. (£ 75).